TSE 094: Three Unconventional Ways To Find More Clients! 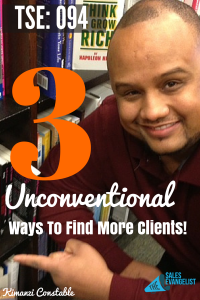 Home » TSE Podcast Post Page » TSE 094: Three Unconventional Ways To Find More Clients! Kimanzi Constable is an author, speaker, business coach, Amazon bestseller, co-host of Starve the Doubts podcast and just an awesome guy! 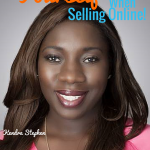 Today Kimanzi shares with us how you, as an individual seller or an entrepreneur , can find unique ways to get more clients and more business than just picking up the phone and doing cold calls. You will find tons of golden nuggets from this episode as you get to learn more about finding ways to gain new opportunities either by speaking, consulting, or creating your own event. You will discover different ways for you to go out there and position yourself as an expert and thought leader and eventually see great results! The little things you do for your customers can make a rich experience. Companies paid outside consultants $39.3 billion in 2013. Speaking gives you the opportunity to travel to cool places for free and get paid for it! Getting treated like royalty when you’re speaking in other countries. Selling your book (if you’re an author) at conferences or when negotiating something with consulting. Big events (e.g. New Media Expo, Social Media Marketing World, Podcast Movement) – they don’t normally pay average speakers. So where is the money at with speaking? Industry associations (healthcare, lawyers, auto, etc.). Different industries have association meetings and they’re willing to pay money. A certain industry normally brings in a variety of topics (ex. social media, leadership, etc.). Lanyrd.com – website containing an extensive database of conferences all over the world. It’s all about you and your topic. Don’t be discouraged if they don’t indicate that they pay their speakers. Make your topic really appealing. Negotiate with the organizers and tell them what’s it going to cost. If they want you and the topic, they’ll pay. If they don’t, move on. Places Kimanzi has visited as a speaker: Australia, Kenya, London, Paris, Philippines, Japan, etc. Write your bio – who you are. List where you’ve spoken before – links to your presentations, speaking at a website or even at a library). Speaking topics – You have to be specific to that event and make it good! Include your fee – hourly rate or flat rate. Figuring out how much you’re going to charge. How to close your proposal. Start local. Identify the companies. Identify what problem you can solve. Go to the owner and invite them for coffee or lunch to pitch what you want to consult on. Kimanzi helping a local McDonald’s franchise and growing social media presence by 89%. 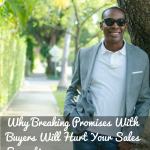 Show why this is a problem, how he’s losing money, and how you can fix it. Back up everything with data. Show the company why you are the person to do this. Figure out what you’re going to charge. Leverage is huge in this game. Identify three events that you want to speak at. Identify three companies you want to pitch consulting to. Send them this list of six places. Decide what you’re going to teach on. Major kicker: How to host your conference for free!